fter cleaning, the empty bottle of beer bottle needs to pump the air/oxygen in the empty bottle before filling. First, the empty bottle is vacuumed, filled with CO2 gas, and then the CO2 in the bottle is pumped away, and later the beer is injected. Liquid ring vacuum pumps 2BV, 2BE series are recommended for this process. 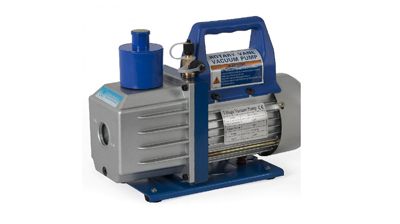 Is the vacuum pump working fluid recycled? The vacuum degree of the liquid ring vacuum pump is affected by two conditions of the working fluid, one is the working water temperature, and if the circulating water temperature is raised, the temperature will increase. If the cooling tower water is used in the beer industry, the water temperature will be affected by the climate, and the winter will be low in summer. If groundwater is used, the summer water temperature is very low; the other is the water quality. If recycled, some substances in the beer will affect the saturated vapor pressure of the water. Thereby affecting the vacuum degree of the vacuum pump. Therefore, it is recommended that the working fluid should not be recycled. 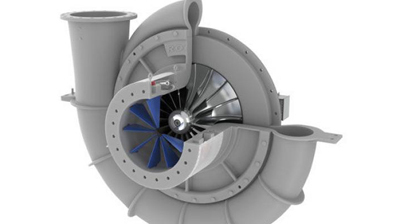 How to optimize the vacuum system? 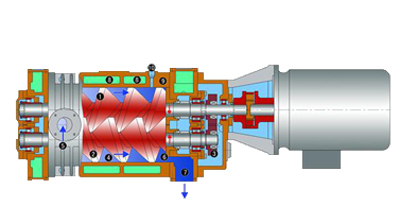 In the case that the working fluid can not fully realize the low-temperature pure water, the performance of the vacuum system can be improved as a whole, and a sealed Roots vacuum pump is added on the basis of the liquid ring vacuum pump to solve the vacuum under the influence of water quality and water temperature. 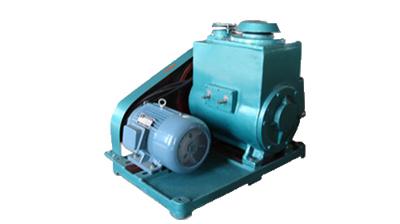 Usually, when the liquid ring vacuum pump is pumped to 10~12kpa, the Roots pump will raise the vacuum to 6~8kpa.